A mold infestation in your residential or commercial building should be properly addressed as soon as possible. If mold is neglected and allowed to fester, it will rapidly colonize your property and leave you with an even more expensive bill. Mold and the water feeding the mold can wreak havoc on your property and do serious structural damage to your home or business. In addition, mold is considered a bio-contaminant and can cause a multitude of health problems to those exposed to mold. If there are signs of mold activity in your Pine Hill home or business, call a certified mold professional in New Jersey to properly handle your concerns. 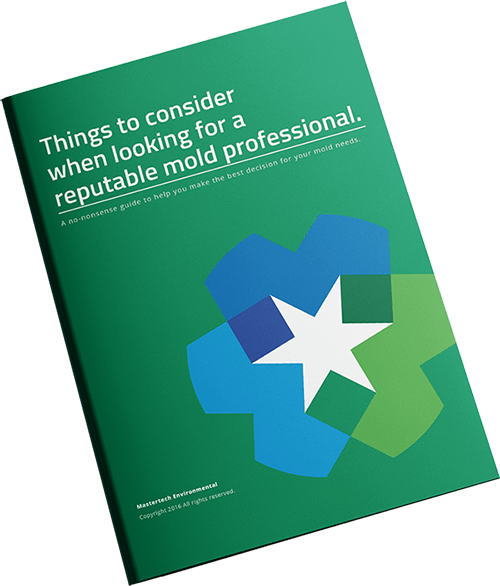 A thorough mold inspection is the starting point for any suspected mold-related issue. Your Pine Hill, NJ mold inspection will allow us to determine if you have mold, how bad it is, how to properly get rid of it and how to prevent it from returning. If you suspect you have mold in your home or business, our trained and certified mold inspectors are equipped with the necessary skills and tools to properly evaluate your property to verify if mold is present or not, determine the full extent of the problem, identify the water source, and prescribe an appropriate removal approach. Mastertech provides Pine Hill, NJ with the highest quality mold removal service available in the industry today. Our mold removal and remediation process is specially developed by a team of industry trained and certified experts. We pride ourselves in completing the safest, most effective, and most efficient mold removal in Pine Hill, NJ. Causation: In order to ensure a mold-free building post remediation, we must get to the source of the problem. Typically, at the end of a long moldy trail, there is a significant water source promoting the mold activity. Prior to any remediation, your MasterTech inspector with complete a comprehensive assessment of affected areas and all surrounding areas. Using moisture meters and thermal imaging cameras, your inspector will be able to analyze the water problem in the most non-invasive way possible. During remediation, once the technicians have placed proper containment, the crew will be able to get a closer look at what the is promoting the mold growth and confirm the water source. Containment: Before beginning any work, it is important to carefully protect the unaffected areas. Our certified technicians are fully trained to properly isolate all areas of concern with the appropriate barriers and covers to reduce the risk of cross-contamination. Every MasterTech mold remediation in Pine Hill, NJ is backed by a 5 year mold-free warranty. Not only is the mold removed, but we have taken precautions to prevent its regrowth. Our priority is that we did the job right for you and your family the first time. MasterTech is a company built on integrity and have spent years earning our clients’ trust. If you think you may need a mold remediation in Camden County, NJ, call us today to speak with a MasterTech Team member. For mold inspection in Stratford, NJ or mold removal in Bellmawr, NJ, call 1-800-310-3226.